Outlined in an earnings presentation (PDF link), Intel reported revenue of $18.7 billion for the quarter ending in December. The figure is below analyst expectations of approximately $19.01 billion, as compiled by Refinitiv. Intel blamed the revenue shortfall on "weaker modem demand, slowdown in China, cloud customers absorbing capacity, and weakening NAND environment." During a conference call on Thursday, Intel CFO and interim CEO Bob Swan said revenue from modem sales was well below expectations due to slow smartphone demand, reports CNBC. Specifically, modem revenue was around $200 million less than anticipated. A large chunk of Intel's modem revenue is derived from iPhone. With Qualcomm out of the loop due to a legal struggle over patents and licensing, Apple relies solely on Intel to provide modems for iPhone XS, XS Max and XR models. When Apple and its flagship iPhone products suffer, so do partner suppliers. Apple in January cut revenue guidance for its first fiscal quarter of 2019 on the back of lower than expected iPhone sales. In particular, sluggish sales in China and other burgeoning markets greatly impacted overall results. Whispers of an unexpected dip in iPhone demand began to circulate late last year when partner manufacturers heavily reliant on Apple's business announced adjustments of their own. AMS, Japan Display, Lumentum, Qorvo and others reduced earnings forecasts prior to Apple's announcement. More recently, A-series chip producer TSMC slashed guidance on the back of sluggish iPhone sales and a contraction of the wider smartphone market, while Japanese parts supplier Nidec did the same. 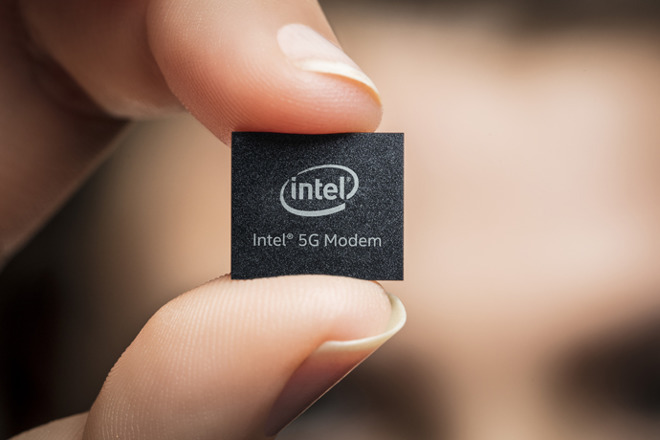 Intel is expected to continue in its position as Apple's main modem supplier for at least another year, though the iPhone maker might be forced to turn to Qualcomm for its 5G communications needs. Intel is forecasting flat year-on-year sales of $16 billion for the coming first quarter of 2019. The company's stock price dipped 8 percent in aftermarket trading on Thursday. Looking forward to AMD's earnings report on the 29th. That will shed all sorts of light on Intel's misses. Intel can't find their own chip fab with both hands, they have missed on 10nm process for how many years now? With other vendors turning out 7nm routinely? I seriously doubt any sales weakness on the part of Apple is having ANY effect on Intel's bottom line. Ineptness on delivering on their core business goals, maybe. Intel don't miss earnings estimate because decreased order of cell modem chips. It reflects worldwide demand for overall semiconductor chips decreased in last quarter than anticipated. So let's take a wild guess. Let's guess that Apple represents 35% of Intel's modem business. So $70M of the $200M shortfall is associated with Apple. Then let's guess that Apple is paying $6.50 for each modem (because Intel probably knows Qualcomm wouldn't sell to them). That would mean that Apple shipped $70M/$6.50 per modem/iPhone = 10.77M less iPhones than it was planning to. 10.77M iPhones at an average ASP of $800 = $8.6B shortfall which is in line with Apple's updated guidance. Any other better guesses out there? That makes the calcs much more simple! LOL! “Weak demand”. Ha. More like overzealous expectations and foolish demands of Wall Street types for share prices and the unsustainable pursuit of perpetual profit growth.